CMYK alternatively is referred to as an additive colour mode as by adding the colours (that are the basic ink colours in printing) CMY you will eventually get black (C=100,M=100,Y=100). This is how the latest technology brings your amazing designs to life, with high quality inks supplied in CMYK that are printed over 100,000 drops every 1cm2. Many brands may choose to specify a Pantone (PMS) Colour to ensure that their brand colours are printed consistently. Pantone colours can be added to CMYK and RGB files. In CMYK files Pantone colours can be represented in two ways; either a CMYK breakdown (note that this may look visually different to the original Pantone colour) or by adding the colour to the file as a named colour. Easy Signs have the latest technology systems that will identify Pantone Colours in files and emulate that colour as closely as possible. 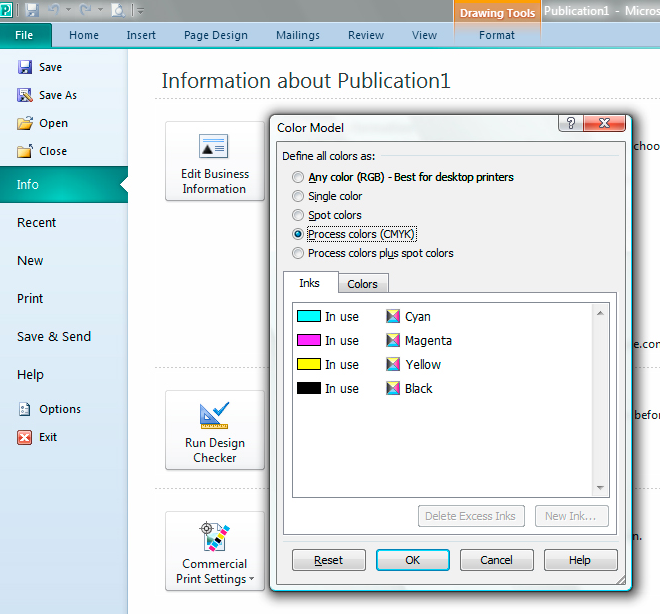 Why are CMYK files more colour consistent when printed? 2) We print with CMYK inks so we regularly monitor our equipment to ensure that our prints today should match our prints months and years from now. RGB colours cannot be monitored. As previously mentioned RGB colours have a wider colour gamut so a colour that is bright with lots of light on your screen may not be possible to achieve with CMYK inks. 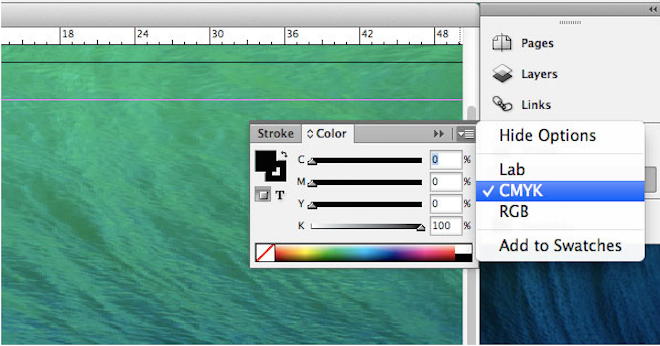 This can be demonstrated below by designing two files using the same software, but one using RGB and the other CMYK colour modes. See below the preview of a file in RGB and CMYK on the Screen. The RGB colours look brighter. Easy Signs control the consistency of how our inks are printed from month to month and year to year. We do this by monitoring what we call ‘grey balance’. Grey balance is the control and regular evaluation of CMY to consistently get good greys. By balancing these colours we can ensure that all colours in the CMYK spectrum are consistent and printing just the way they should. 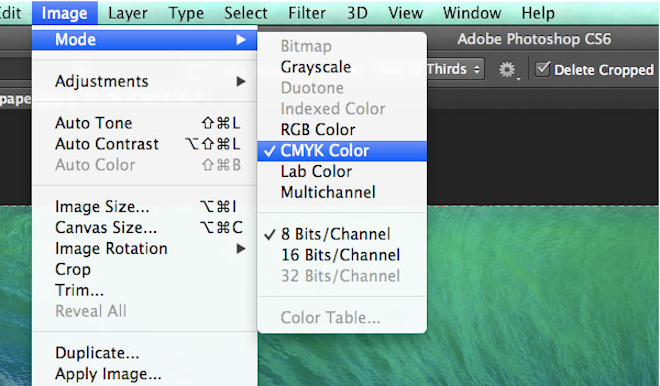 Unfortunately, we have no way of controlling RGB colours - one of the reasons we cannot accept files in RGB format. 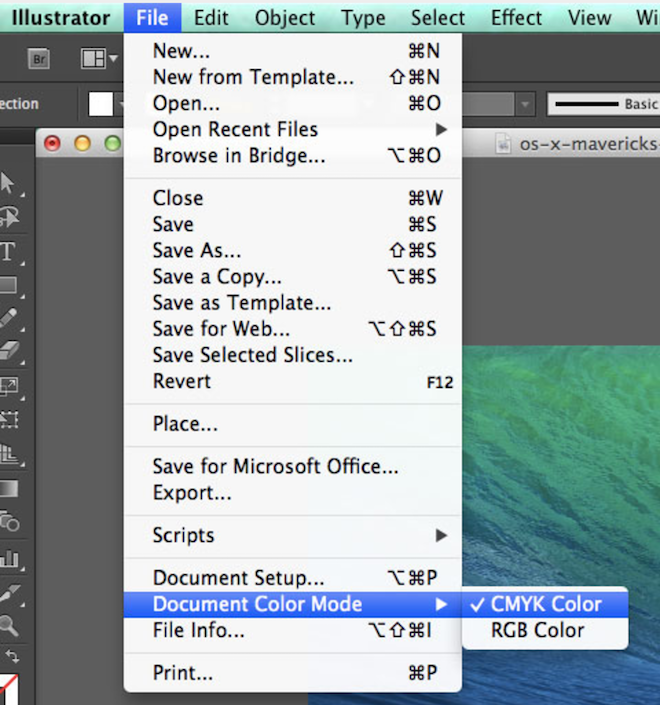 So how do you save a file in CMYK Format? We hope this information will help you to create your artwork in the correct format. This will make sure that we can print your signs in the highest quality and meet your colour expectations.